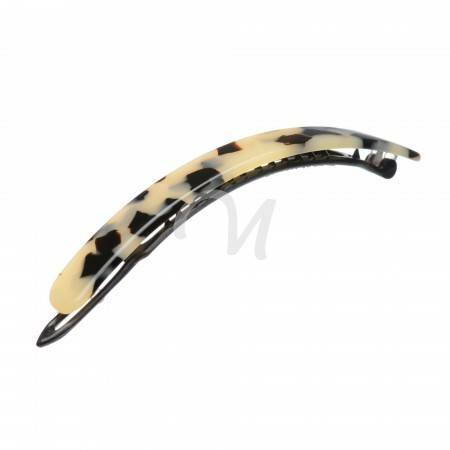 A barrette (that is usually found in American English or French), also are popular to be called hair clip or clasp (it's more common in British English) has a 2 main purposes - hair decoration and keeping your hair in place. Depending on what the purpose is - it can differ in size, shape, material. Number of different kinds of hair barrettes were created in the 20 th century. Before this period - hair accessories like - side combs, ponytail elastics, hairpins (and similar hair pieces that was easier to make) mainly were used among women and most of them were inhertided even from 10 000 years BC. The hair barrette (its metal part) or hair clip as we know it today was created in the late 60's when automation of diferrent processes were already "advanced" enough and creating the metal part of hair barrette was possible on a larger scale with certain machinery. This automation helped manufacturers focus more not on the functionality of each hair barrette, but rather on unique design and it became a matter and thing of fashion rather than only to hold your hair in one piece. KOSMART (as well as other manufacturers of hair barrettes) has two main production lines of hair barettes and hair clips - that are hand made and machine made. Its always difficult to explain the difference when customer's can't see the item live and touch it, feel it's smoothness, softness of the material and etc. But we will try to explain the main differences of both, so that you can be sure to choose the right for you, because there is no definite answer on which group is more important - its a matter of what you currently need. 1. 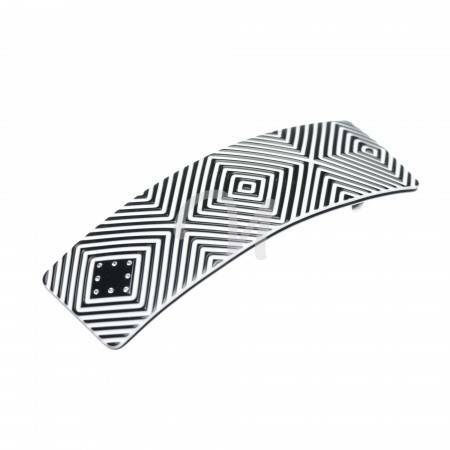 In our 1st example of hand made hair barrette you can see one of the most popular acetate Tokyo color and metal part that is suitable for medium-thick hair and medium - large hair volume. 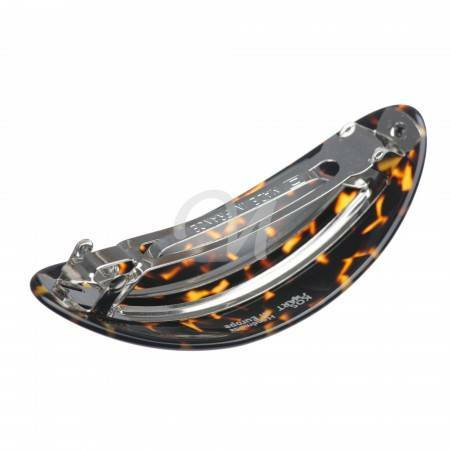 This is very traditional acetate bio-plastic material color. There are never 2 identical hair barrettes, because the texture that you see in the picture is produced from the sheets of bio-plastic and each hair barrette would have a little different color texture as well as how ornaments "stands" on metal part. One of the most important feature is that pigments in hand made hair barrettes are infused inside the material and not varnished on it - that is why you might have the same hair barrette that your grandmother has from the 70's and it still looks as new as it was at that time. If you scratch the surface of hair barrette or year over year touch it - the texture and color won't change, because its not a varnish as in the machine hair clips. 2. 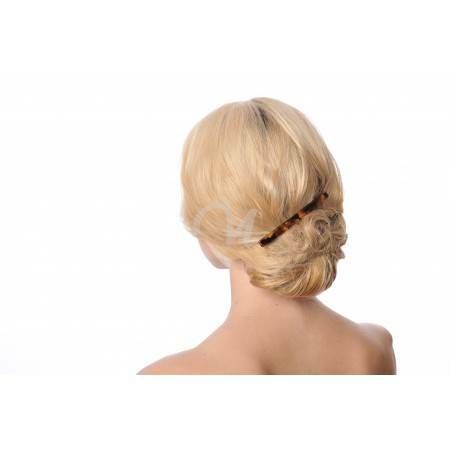 In this example you can see hair barrette suitable for thin hairs and small-medium hair volume. It is cacao beans acetate color pigments. 3. 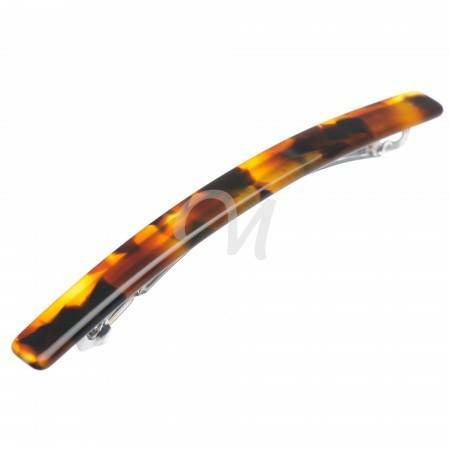 This hair barrette is made of dark amber acetate color and is suitable for women, who has medium/large hair volume. 4. 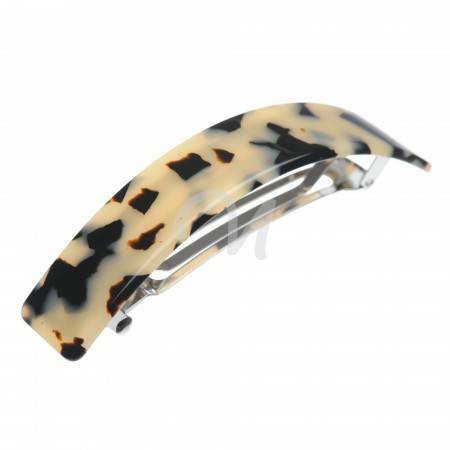 This Tokyo color hair clip - barrette is one suitable for afro hair as well as large hair volume, curly hair. 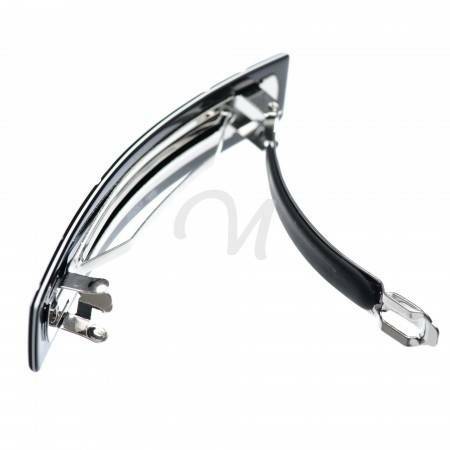 This is one of the newest design of metal part that can hold really tight and large portion of hair. 5. 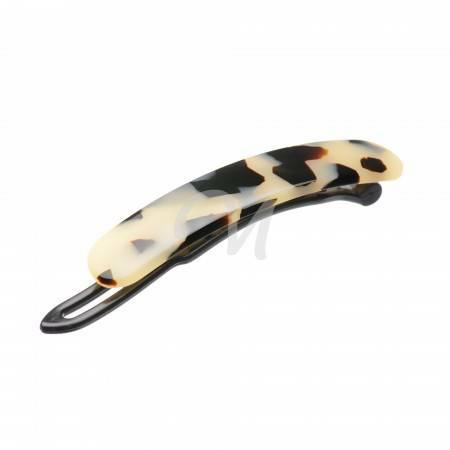 This is the multi layer acetate hair barrette, that is suitable for medium hair volume and medium hair thicnkess. This is when the "luxury" hair jewelry segment steps in. This is not a functional hair berrette anymore. That is something bigger. It is the piece of jewelry that you can leave for your generations to come, see the same hair clip through the pictures of your family history. 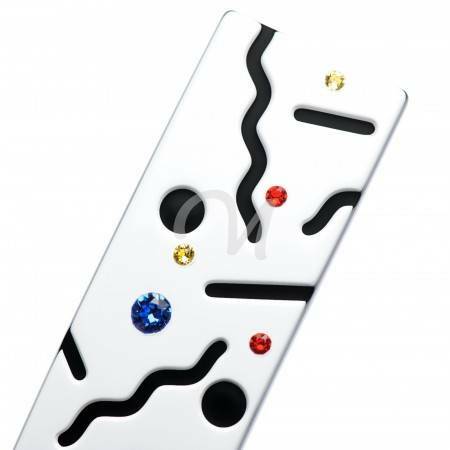 It has the unqiue ornaments created by fashion designers and hand encrusted original Swarovski(R) crystals. One by one, using the special sound melting technology all crystals are securely melted in the bio plastic to last for generations. 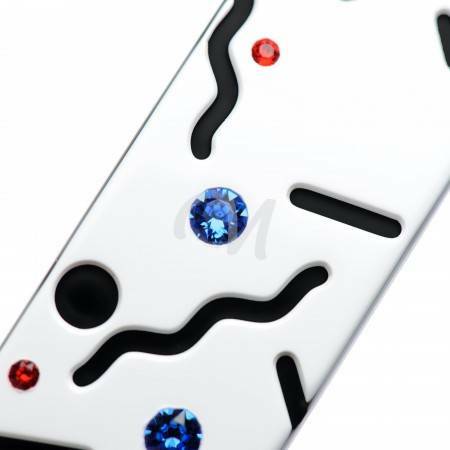 The optical illusion that creates this hair barrette won't leave you unnoticed. 6. 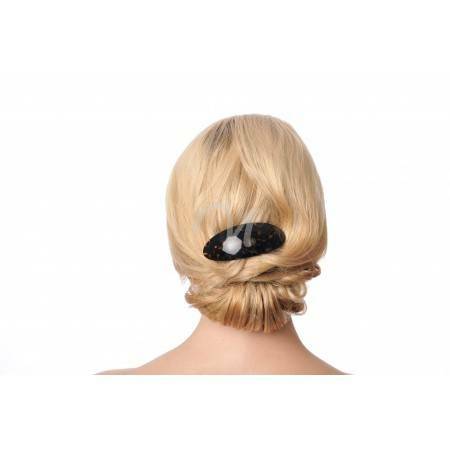 Another example of jewelry segment in hair accessories range is hair barrette from Abstract collection. When you think that you have seen all and its difficult to invent something that does't look alike any other hair barrette - boom and it happens. 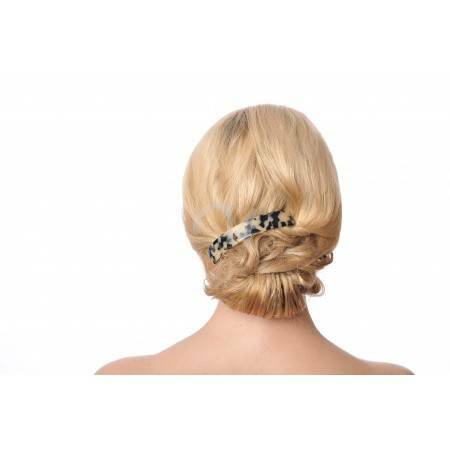 This barrette is suitable for medium hair volume, but as the collection was a huge success, we created alternatives and line extension for each type of hair. The most extravagant, successful and "different" collection that KOSMART managed to create till now. 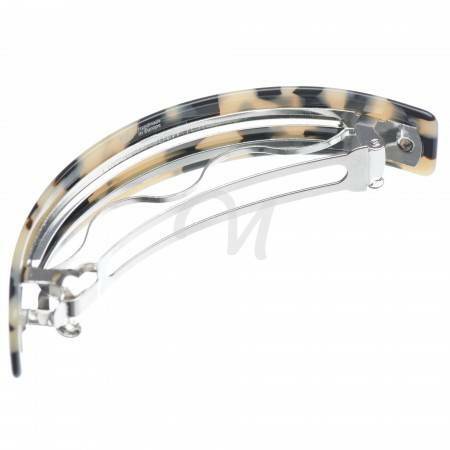 This kind of luxury collection features not only the luxury acetate, hand encrusted Swarovski(R) crystals, but it also has the latest innovation - rubber insert into metal part. 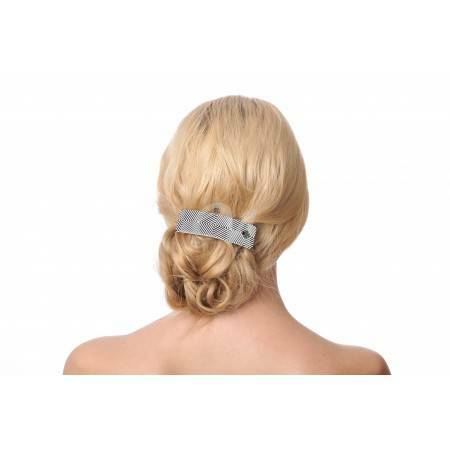 Using this innovation you can be sure the barrette won't slide down your hair all day through, it also won't damage your hair by pulling them in between two metal parts. It also allow your hair feel "just right". 7. 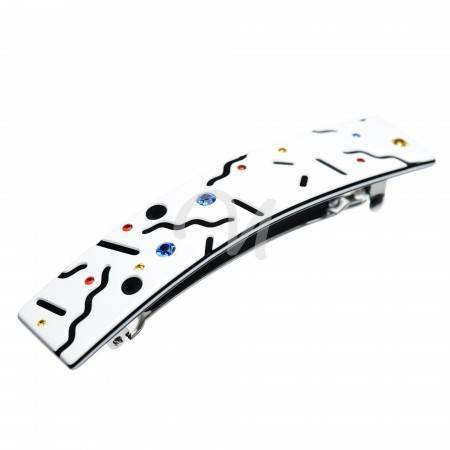 And last, but not the least example of hair barrette is metal free hair barrette that is suitable to wear for people, who has very strong allergy to any kind of metals. Even though all our metal parts in other barrettes are nickel free and made of stainless steel or bronze - some people because of variety of factors just can't wear any kind of jewelry that is made or includes any metal piece. Other people just like that kind of hair barrette because it is are very light, it also feels very soft in your hair, it will never damage your scalp (even if you fell asleep with your barrette). And the trends of wearing metal free hair clips is getting stronger and stronger. Here you can see the examples made of classic Tokyo acetate - medium 105 mm. (4,13 inch.) and small 65 mm (2,56 inch) size hair barrettes. Some customers, who haven't tried this kind of metal free hair barrettes are afraid that it won't last long until it brakes, however, the ones who try it out, rarely come back to the regular hair barrettes with metal and ask KOSMART to create all the models in metal free versions! We are carefully selecting the producers of raw material for all our hair accessories lines. We are using the acetate material solely that is produced in Italy keeping the highest quality, safety standards as well as innovations. The acetate that we are using for hair barrettes was tested by the ISO 10993 standard with positive results - based on the various medical institutions tests, we have the confirmation that our acetate can be considered non-irritational and non-skin sensitizing material. Now, when you had a glimpse of how hand made hair barrettes are different from the machine hair clips, let's dive deeper and see how the raw material is different from the machine made items - and who can show the difference better, than a video showing the process of how actual acetate raw material is created and that "handmade" work is not only in the process making the items, but the work how raw material is made - its a completely handmade work as well! We are sure that you will appreciate your hand made master piece much more, when you understand all the steps of how your hair barrette was actually made. Enjoy the video! 5. General polishing of hair accessories in different machinery (the polishing process has many stages and usually each piece of hair berrette has to go through all the stages for up to 10 day!!!) 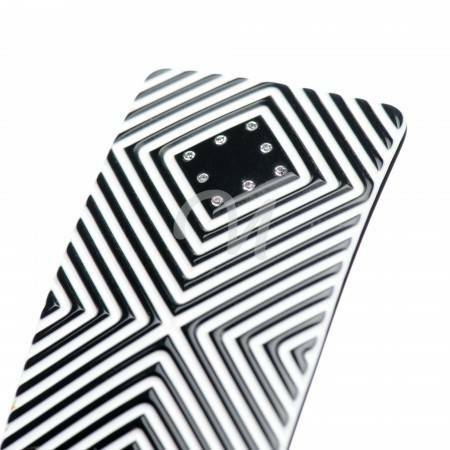 to have the right shape, with silky surface and no sharp edges. We have discussed how the hand made hair barrettes and clips are different from the machine made and now we will explain the machine made items. All machine made items are made by the injection moulding technique that was first invented in the late 19th century - 1872 by the American inventor John Wesley Hyatt. The first machine made in such way was actually used to produce the hair combs as well as other small plastic items. Nowadays this kind of production is much more automated than it was at that time and it requires much less hand work. 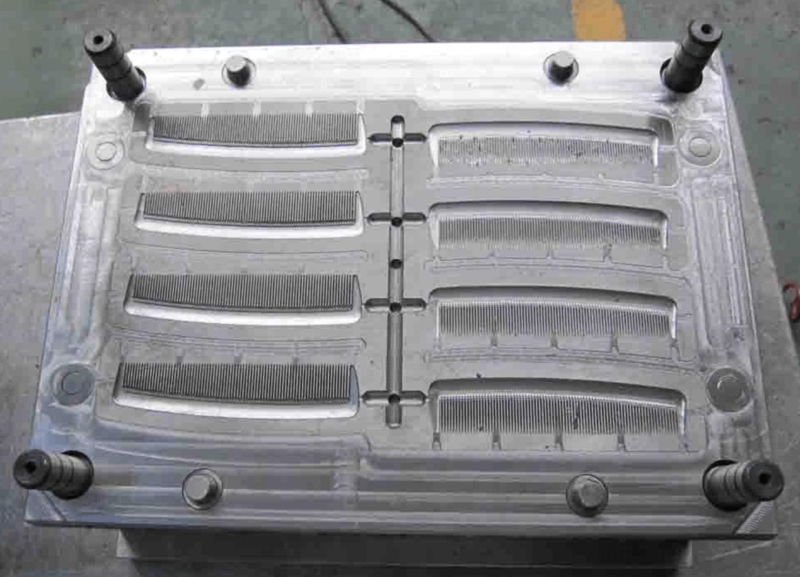 Injection moulding process still requires a lot of investments for creating new models, because in order to create new design, you have to create the stainless steel injection mould that depending on how difficult the design is - can cost up to 50 000 USD or more. However, once you have the mould created, you can easily stamp as much products as you need with a very little additional work and thus cost per unit is always much less than the hand made hair barrettes. After the plastic parts are created - they are painted in the required color. 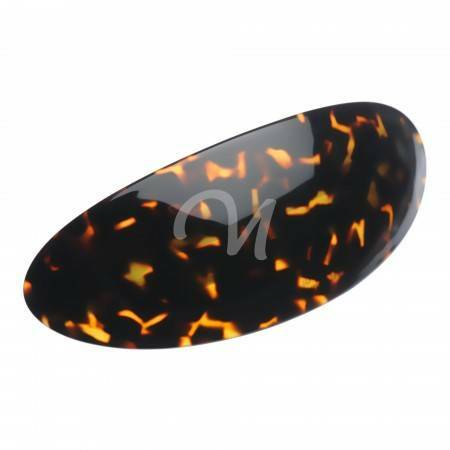 There is a limitation on what color you can achieve in machine made items if you compare to hand made items, because color is sprayed on hair barrette surface rather than color pigments infused inside - and that is why you will never get as beautiful Tokyo or Tortoise Shell efect as its possible in hand made hair barrettes. 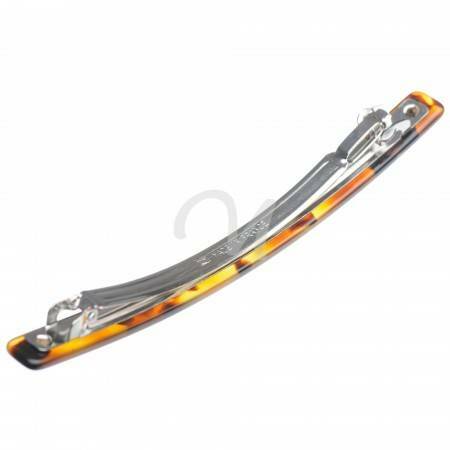 When hair clips are coated with colors, additional protective varnish is applied in order to protect hair clips from scratches and wearing of. 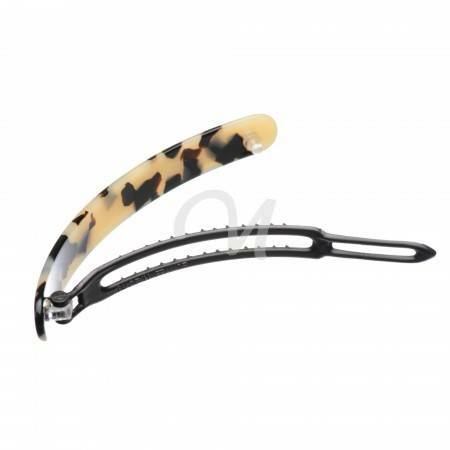 However, once again the disadvantage if we compare to the hand made acetate hair barrettes is that if the scratch is deep or if you wear hair barrette for the extensive period of time - it will loose its original color, visible scratches might appear or the transparent spots on the surface of hair barrette. What is more, some producers make only one coating of color on machine made items without additional protective layer - in this case your hair barrette might loose its color within a few weeks of wearing it. And this is all in order to make the machine made hair barrette (hair clip). 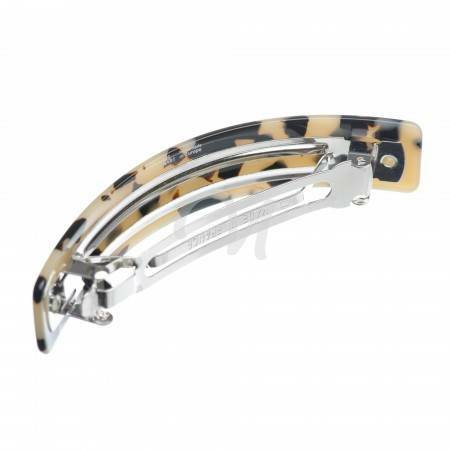 Even though, producers of machine made hair barrettes makes them in a similar way one to each other, there are described differencies even when we compare one machine made barrette to other, thus always be careful in selecting the one for your self. 2. The material of hand made hair barrettes are with pigments infused inside the barrette (and not on top of it), thus while wearing hand made hair barrette it won't loose it's beauty - machine made hair barrette might wear of much faster. 3. Hand made hair clips and barrettes have tens of different steps to make the final product, they are hand polished without any sharp edges, they are silky and smooth to touch. Machine made barrettes have "injection" marks, that sometimes can be slightly visible. 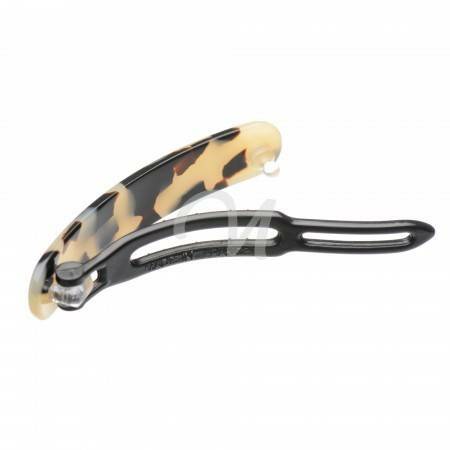 On the surface of machine made hair barrettes you can feel the varnish coating that is without the softiness that is present in hand made hair barrettes. 4. When you buy hand made hair barrette, you can feel exceptional and be sure you won't bump into the neighbour with the exactly same hair barrette that you own. Hand made hair barrettes are expensive and not everyone can afford them. They are also very unique. On the contrary to machine made items - when you invest in injection mould, you have to sell millions of hair barrettes same shape in order to get any profit, because its very big invesment and you have to sell big quantities of the same model in order to compensate its cost. 5. 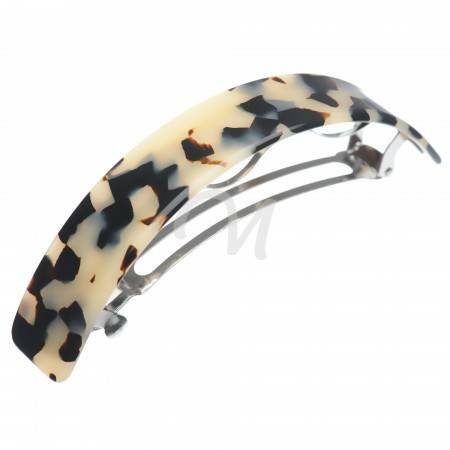 You can find much more interesting, unique models when purchasing hand made hair barrette. 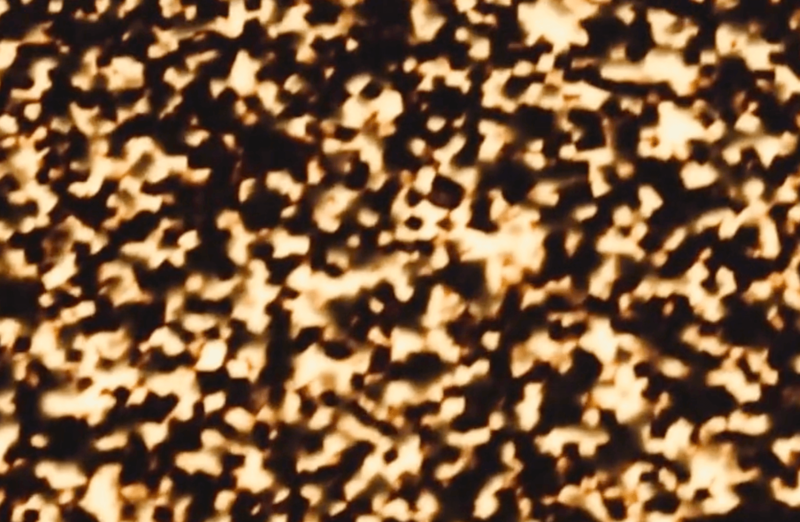 Because acetate pigments are infused inside the bio-plastic, you can achieve incredible textures that are similar to amber, pearls, onyx, wood or hundreds of other special ornaments visible in the nature. 6. If you have very sensitive skin, we always recommend to use hand made hair barrettes and clips, because it is non-skin irritating material. It doesn't contain varnish or other chemicals on it. It is a skin friendly jewelry. 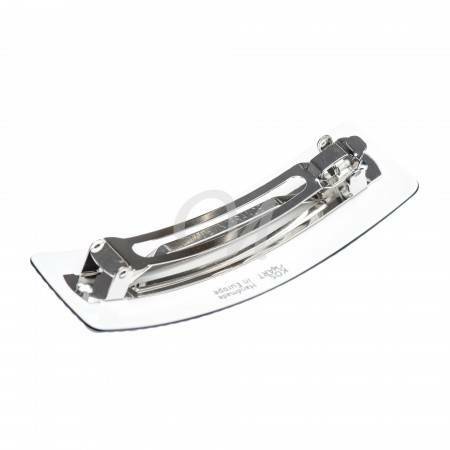 There are not many advantages of machine made hair barrettes when to compare to hand made hair barrettes, but we have one and strong - that is price. We never recommend customers to purchase a hand made hair clip if they want to use it only for technical purpose alone - to hold the hair well. If you need a hair barrette for a garden or if you find yourself to loose hair clip each week - then hand made hair barrettes are definetely not for you! There is no definite answer, which kind you should choose for yourself. 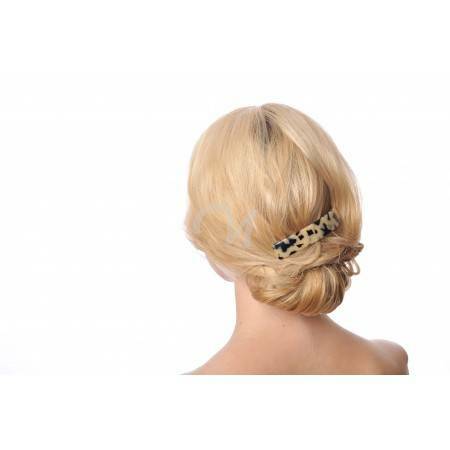 If, for example, you want to have the technical piece of hair accessory that you use in your garden and you need it to hold your hair well and only this - there is no point in having the luxury hand made hair barrette, because it would be the waste of you money and Kosmart Team's hand work, however, if you want to have not only technical hair barrette, but to wear it at work, evening, party, beach or maybe sometimes even get asleep with the barrette in your hair without a fear to scratch your scalp, or maybe you want to have something very special that you could leave for your generations to come - then hand made hair barrettes are the ones that you should choose for such occasions.